Described as a “symbol of U.S. economic might”, the rail industry in the U.S. is at a crossroad. According to a recent article in the Wall Street Journal, the number of boxcars in service in North America has fallen by 41% in the last decade. While 101,600 railcars were scrapped, only 13,800 new replacements were added. While many shippers have transitioned to road and intermodal transport, many industries that still rely on rail as their primary form of transport are feeling the effects of this sharp decline. The reduction of boxcars has meant that paper manufacturers, lumber producers and others are left struggling to find ways to move their product. In some cases it has meant companies have had to slow production in order to cope with the lack of railcars. Railroads are describing the problem as an issue with congestion and bottlenecks at individual railroads, rather than an overall shortage. They say they are making improvements that enable faster round-trips and better meet demand. Boxcars are also getting bigger. Railroads are now backing a standard boxcar model that is 60 feet long, with maximum loaded weight of 286,000 pounds—that is 10 feet longer and up to 23,000 more pounds of loaded weight than many railcars in service today. These added dimensions and capacity are expected to deal with some of the shortage in the coming years when more than 75,000 railcars will reach their retirement age of 50 years. Another way some rail companies are dealing with the shortage is by implementing tracking technology to monitor and reduce dwell times. Many companies are frustrated with the delay and lack of visibility offered by Automatic Equipment Identification (AEI) using Radio Frequency (RF) . Sometimes location data is delayed by as much as 12 hours, making it stale. Other times GPS location data is unreliable since the car has been sitting idle or in a location with no AEI readers. 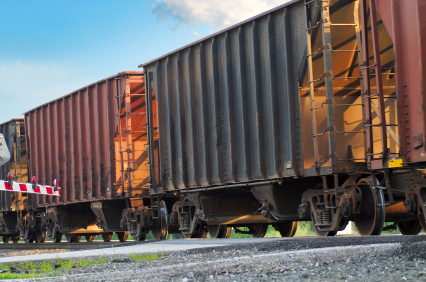 ORBCOMM railcar tracking and monitoring technology has been deployed by a number of rail companies to track the location of boxcars independently of AEI readers. It allows them to have reliable GPS location as well as the ability to poll the current railcar location. Railcar tracking technology not only gives car owners the ability to reduce time spent at terminals and other stop points, it also allows them to monitor how their railcars are being handled. From impact monitoring to collecting data from sensors, we will be demonstrating the capabilities of our technology at the IANA Intermodal Expo from September 20 to 22 in Fort Lauderdale. Visit us at booth 118 to find out why some of the world’s top companies, including Hub Group, Canadian National Railway, Union Pacific, CSX, BNSF and others are using our fleet tracking technology to optimize scarce rail resources. Going to be at IANA Intermodal Expo? Let’s meet and discuss some of the rail issues you are encountering.